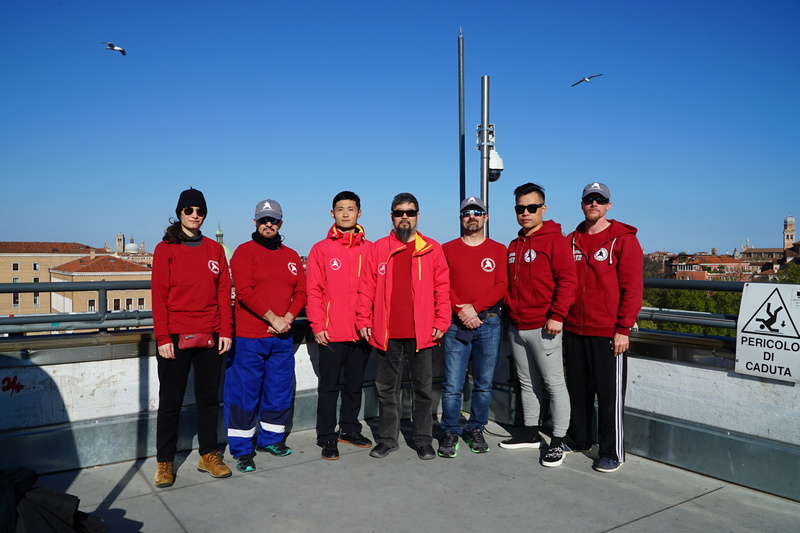 Italy Practical Method Seminar on March 29, 2019. 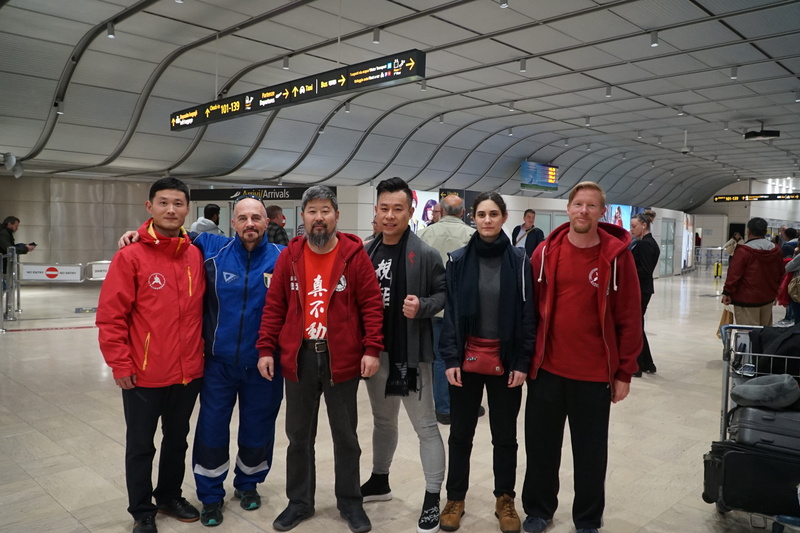 Chen Xu and Sun Yang arrived on March 28, 2019. 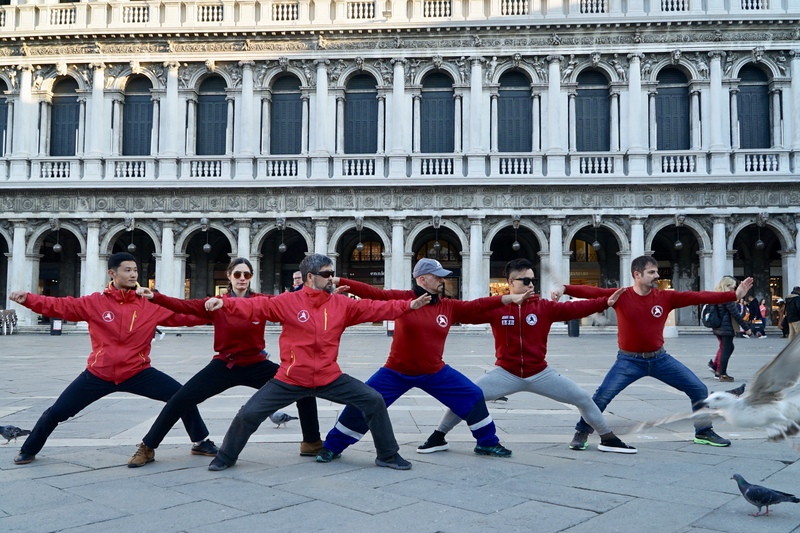 There was a brief tour of Venice and then training. We reviewed what we did the day before and then started today’s training. The main move learned today is the second half of the Six Sealing and Four Closing. 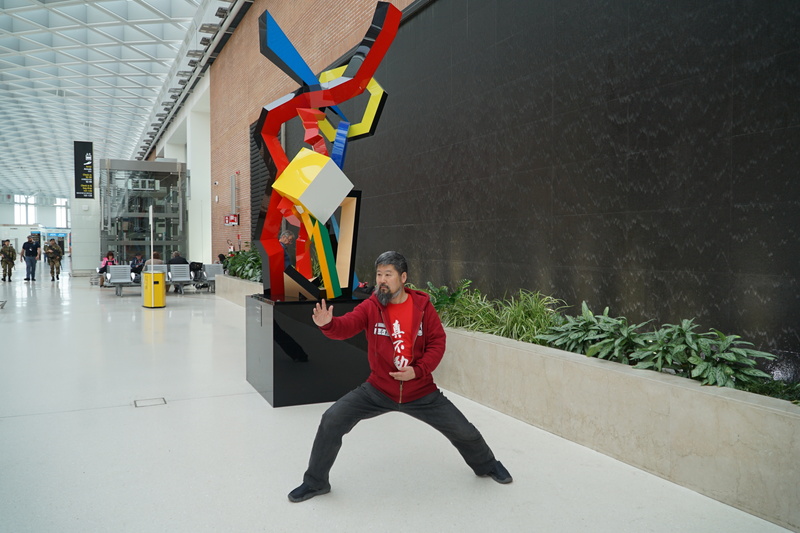 In this move, after the front arm is stretch out and is lined up with the opponent, we stretch the real shoulder and elbow backward to line up with the front arm. It is very difficult to line the two body parts (front arm and real arm) up. It required frontal set up and rear-ended pulling. 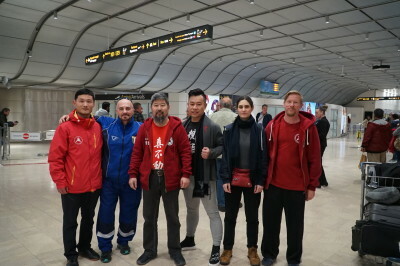 Carlotta Vivianni, Giuseppe Bon, Chen Xu, Chen Zhonghua, Michelangelo, Sun Yang, and Rick Pietila in Venice, Italy. 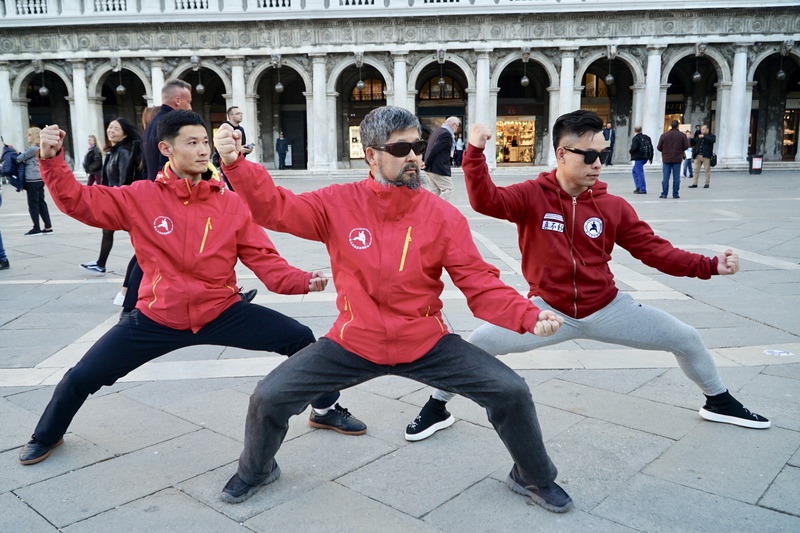 Chen Xu, Chen Zhonghua and Sun Yang in “Block Touching Coat” at St. Marco Square on March 28, 2019. 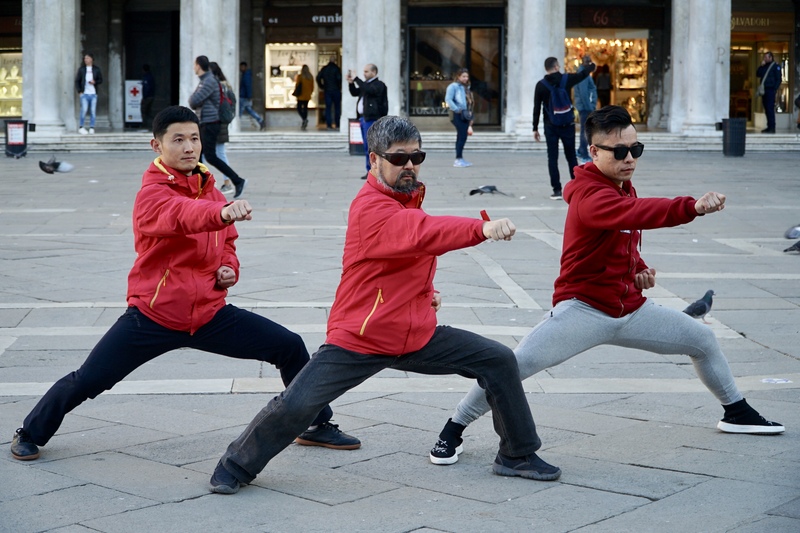 Chen Xu, Chen Zhonghua and Sun Yang in “Fist Covering Hand” at St. Marco Square on March 28, 2019. 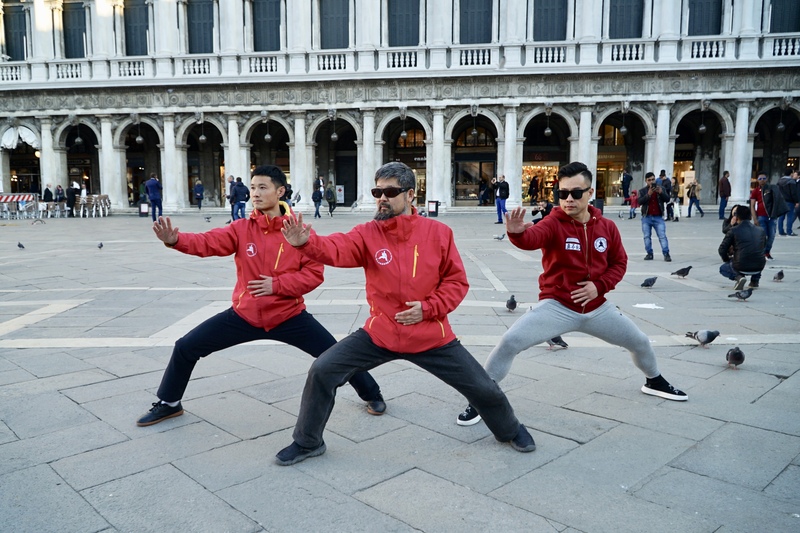 Chen Xu, Chen Zhonghua and Sun Yang in “Sink the Waist to Press Elbow” at St. Marco Square on March 28, 2019. 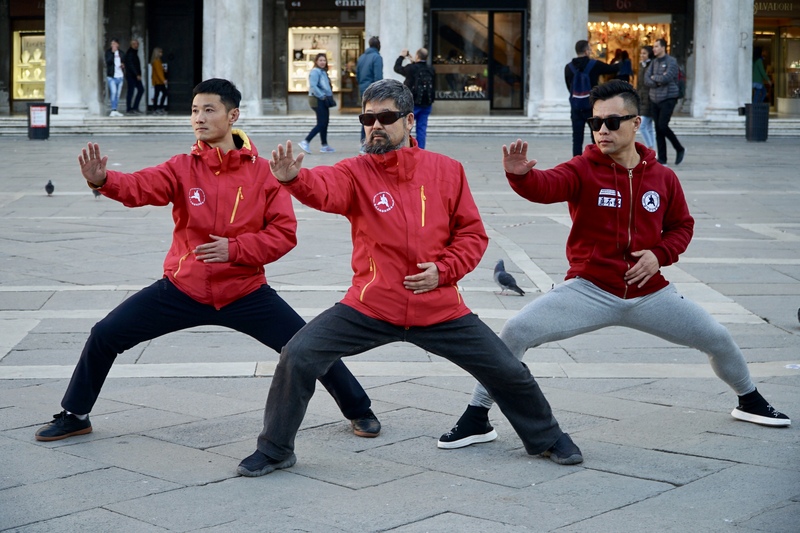 Chen Xu, Carlotta Vivianni, Chen Zhonghua, Giuseppe Bon, Sun Yang and Michelangelo in “Single Whip” at St. Marco Square on March 28, 2019.